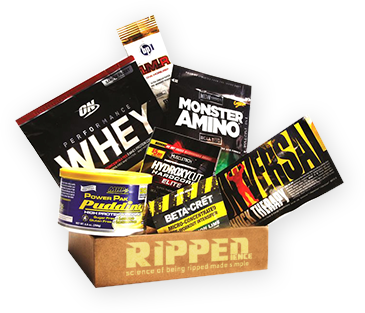 For your friend & family who loves to get ripped, send them a quarterly treat without stepping a foot in the post office. Each month, they will receive health advice, motivational videos, & so much more. Get the secret for becoming fit straight to your inbox plus, get three exclusive video training workout sessions that will instantly make you feel on the top of world. Subscribe monthly fitness box today. What are the payment methods available on Rippedience? Unfortunately, we’re not able to accept checks, money orders, gift cards, or PayPal, or link routing numbers to your account. Can I make payments in installment? No, you cannot make payments in installments, and you have to pay complete amount at the time of subscription orders. At Rippedience, we only accept United States Dollar (USD). Do I have to pay any hidden charges? No, you don’t have to pay any additional money besides, subscription orders. What mode of payment you do not accept? We do not accept cash, checks, money orders, gift cards, PayPal or link routing numbers to your account. What should I do if I am unable to make payment? You can contact our customer service representative to get more information. Yes, all the payment transactions are secure and safe. You will be redirected to a secure page where you can enter the card details. Moreover, we use the latest security system to ensure that your card information is completely confidential and safe.